CrossCheck is a collaborative verification project launched by First Draft and Google News Lab. The goal of the project is to combat rumors circulating on the Internet in relation to the French Presidential election. With just a few days left until the first round of voting we’re proud to highlight some of the work that CrossCheck has done since the launch at the end of February. 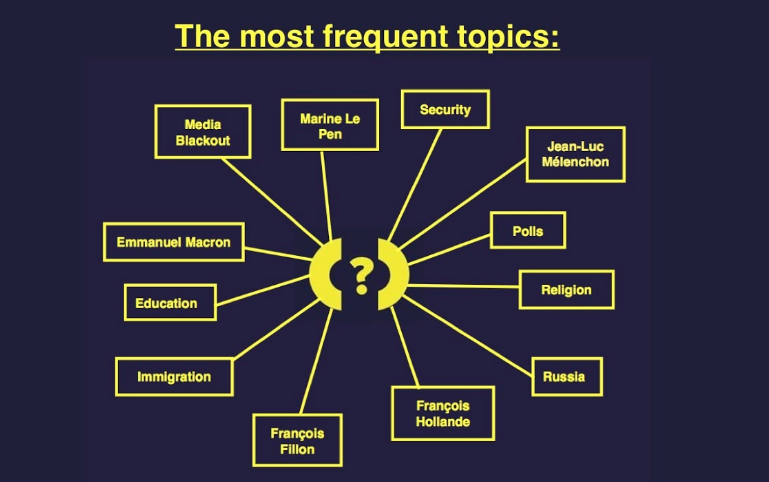 With 37 media partners involved across several countries, the CrossCheck team has been hard at work monitoring the web for misinformation on election topics as well as the candidates hoping to be the next inhabitant of the Elysee Palace. You can, of course, catch up with CrossCheck all the way through to May 7th via our website, Facebook, Twitter and, of course, our partners’ platforms. After checking out those stories, you should now be a CrossCheck expert yourself. Take our quiz to see. Debunking the “Is the Paris town hall replacing a Paris lighthouse with social housing for migrants?” story. Research the original source of the information. The source mentioned by the web user was the French far-right opinion website La Gauche m’a Tuer (translates to The Left Killed Me). Within the article, La Gauche m’a Tuer cited their source the French newspaper, Le Parisien (which is considered as a more reliable news outlet) as their source. A simple web click took us to the article’s page in Le Parisien it which it stated that the lighthouse would be replaced by “council houses for 251 students, young workers and migrant workers”. The extrapolation and the deliberate simplification of the original article’s statement to focus on migrants was a strong signal to the CrossCheck team of an attempt to mislead the reader. To fully clarify the issue, CrossCheck then contacted Ian Brossat, the head of housing at the Paris town hall, to ask him to explain future construction plans. Brossat stated that the social housing will not be used exclusively for migrants: “It is a mixed residence. Social housing but also student housing. It is not a center for refugees”. The more sources the better. The CrossCheck team also got in touch with François-Marie Retourné, head of communications at Paris Habitat (the group in charge of this social housing project), to ask for details about the distribution of the studios. The result: A total of 244 studios will be built, 101 studios for students handled by CROUS (the regional center for universities); 98 studios for young people in unstable work to be handled by the occupational integration agency Adoma; and 45 studios to house migrant workers who lost their housing due to the renovation of their former community houses. The Adoma agency explained to CrossCheck that: “it is not going to house newly arrived migrants but rather legal, working migrants already housed by the municipality. They are often workers employed in housekeeping, waste collection and the recycling industries”. Who: La Gauche m’a Tuer What: Construction of ‘migrant-only’ accommodation. Additional Sources: Ian Brossart and Adoma Agency. Once the fact-check form is completed it is shared with several newsrooms. This is in order to transparently allow our partners to verify each section through collaboration to be certain that the investigation is complete and fully reliable. The goal here is to clearly show what category of misinformation we are dealing with. Is it Misreported; Misleading; Fabricated; Satire? In the case of the lighthouse story, it was clear after the investigative stages that it was the article by La Gauche m’a Tuer brought to CrossCheck’s attention by a member of the public which was false and misleading. Once completed, the news verification article is posted on the CrossCheck website and on all our social media platforms. It is also available for our partners to use. Read the full article now that you’ve gone “behind the scenes.” CrossCheck will continue until the second round of the elections. Make sure to follow us on Facebook, Twitter, our website, or through our partners. And don’t hesitate to contact us if you’ve a story you’re not sure about.